Photographing birds (and a squirrel) is a great way to practice with my fast f/2.8 70-200mm zoom lens. More practice is needed but here are some of my favorite shots. Female cardinal keeping a gentle eye on feeder activity. 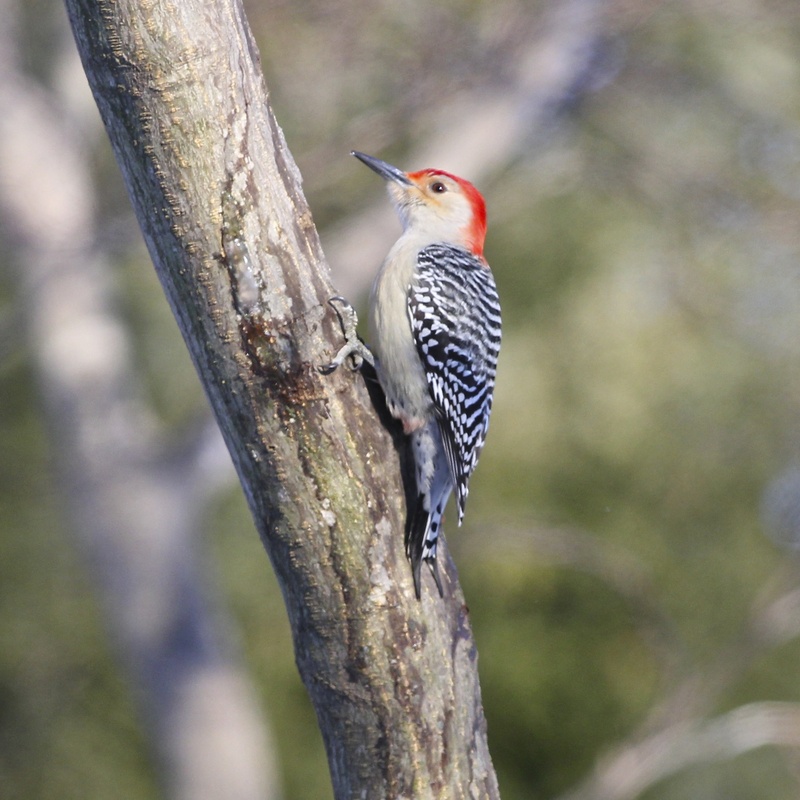 Woodpeckers never stop moving and are hard to photograph, even with a fast shutter speed (chickadees also). Spot-on focus, fast lens, and a steady hand helps. I haven’t used a tripod because it’s confining to me, so a zoom lens with a stabilizer is a must. I might try using a monopod for more flexibility when the weather becomes more mild and I can set up outdoors. 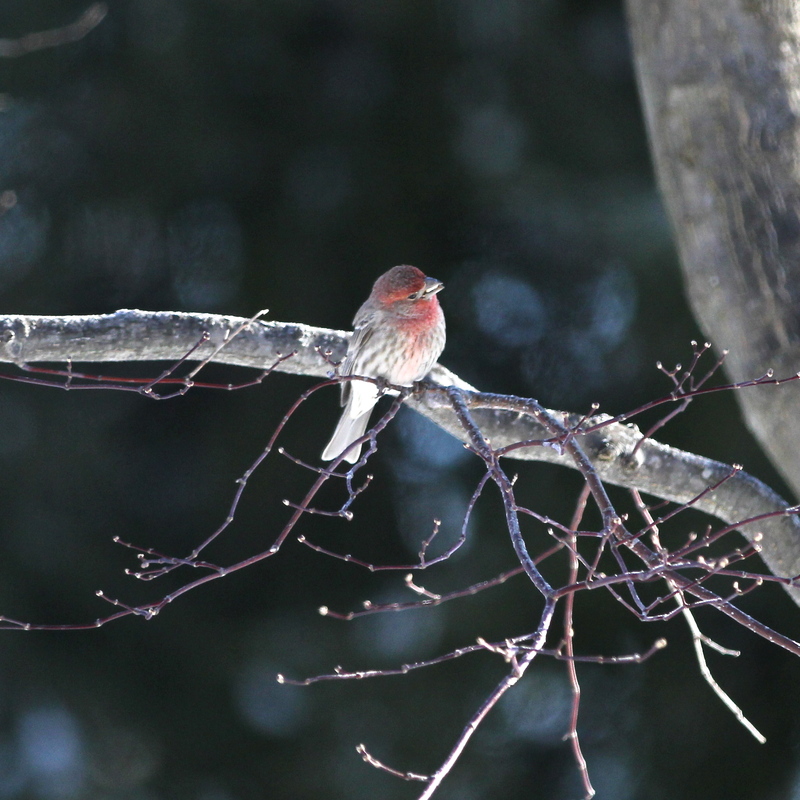 While holding a safflower seed in its beak, the red finch looked back at me one more time before cracking it open. The chickadee may be small but stands tall. It moves swiftly from feeder to branch making it very hard to photograph. Mourning dove silhouette in the morning. The warning look before taking over the feeder. Patiently waiting for nom noms.